Striking the perfect balance between form and function, the Struct lavatory faucet adds an unmistakably bold statement of confidence to any smart interior. The clean minimalist lines make this faucet the perfect addition to a contemporary bath and the on-trend matte black finish will make this faucet the centrepiece of your bathroom. You can install with confidence, knowing that Delta faucets are backed by our Lifetime Limited Warranty. The contemporary style of this Mandolin 4 in. 1-Handle Bathroom Faucet in Chrome creates a serene, spa-like atmosphere with simple, gentle curves. Featuring a EuroMotion ceramic disc valve and a WaterSense certified design, this faucet conserves water in a sustainable, efficient style. For easy installation, a pop-up drain assembly is included in matching finish. Open channel spout creates a harmonious waterfall ambiance. This Delta faucet provides a practical, hardworking solution that will stand the test of time, every time. Delta is a reflection of your personality and is as individual as you are. WaterSense. labelled faucet uses at least 20% less water than the industry standard without compromising performance. Delta's exclusive DIAMOND Seal. Technology uses a valve with a tough diamond coating. InnoFlex. PEX waterways keep water inside the faucet out of contact with potential metal contaminants. This powerful combination brings you a faucet built to last up to five million uses. Installation is easier than ever with the EZ Anchor. mounting assembly. Secure the faucet from above with no need to go below the deck. Mounts the faucet tightly to the deck, helping prevent the faucet from loosening over time. Easily installs on decks up to 2-1/2 In. thick, like granite or quartz. Whether you're a first timer just learning how to install a faucet or a seasoned installation professional who's done it a dozen times, save your back and your knees with the EZ Anchor mounting assembly. 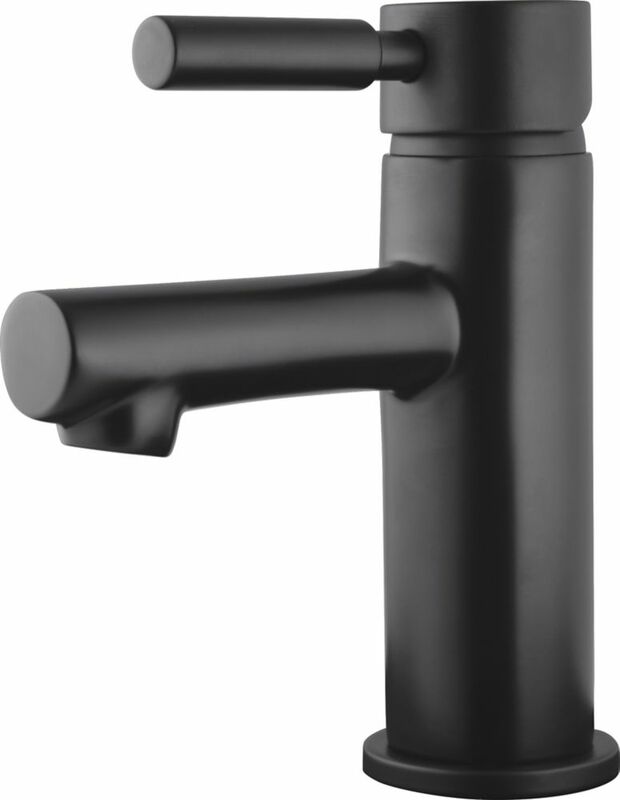 Struct Single Handle Lavatory Faucet in Matte Black Striking the perfect balance between form and function, the Struct lavatory faucet adds an unmistakably bold statement of confidence to any smart interior. The clean minimalist lines make this faucet the perfect addition to a contemporary bath and the on-trend matte black finish will make this faucet the centrepiece of your bathroom. You can install with confidence, knowing that Delta faucets are backed by our Lifetime Limited Warranty.